Extracts prepared from the leaves of Phyllostachys edulis (bamboo) have received attention in pharmacological research due to their potent antitumor, anti-inflammatory, antimicrobial, and anti-ulcerogenic activities. In this study, anti-inflammatory effects of a bamboo leaf extract on tumor necrosis factor alpha-induced overproduction of interleukin 8, vascular endothelial growth factor, and interleukin 6 in immortalized human keratinocytes were investigated for the first time. In addition, wound-healing effects were evaluated in 3T3-swiss albino mouse fibroblasts. Bamboo leaf extract and isoorientin inhibited the tumor necrosis factor alpha-induced release of interleukin 8 and vascular endothelial growth factor. Furthermore, isoorientin dose-dependently reduced levels of interleukin 6 in tumor necrosis factor alpha-α-treated immortalized human keratinocytes cells. Wound healing was evaluated using a modification of the classical scratch assay. For evaluation of the wound gap, a new computerized method based on time-lapse microscopy was developed. 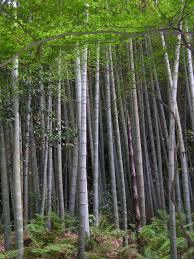 It was shown that bamboo leaf extract (10 µg/mL) improved wound closure by 28 % (12 h) and 54 % (24 h), respectively. In concentrations of 50 µg/mL and above, bamboo leaf extract inhibited cell migration without affecting cell viability. Isoorientin (10 µM) improved wound closure by 29 % (12 h) and 56 % (24 h), respectively. Comparable to bamboo leaf extract, higher concentrations of isoorientin prevented cell migration. It is suggested that bamboo leaf extract as well as isoorientin have a dual activity – in higher doses, they show anti-inflammatory effects, and in lower concentrations, they exert anti-angiogenic activities. In conclusion, natural accelerators of cutaneous tissue repair with simultaneous anti-inflammatory activities are of great interest for a variety of dermatological disorders. Thus, treatment with P. edulis leaf extract or isoorientin may be a potential therapeutic strategy to promote wound healing and to prevent inflammation in a persistent inflammatory condition. Further investigations of the precise mechanism by which P. edulis and isoorientin reveal anti-inflammatory as well as wound-healing properties are currently underway.